Natalie Fragrance Rollerball .25 fl. oz. Take your cue from Hollywood royalty. Inspired by the warmth and allure of screen icon Natalie Wood, this fragrance combines gardenia and pure essentials oils for a scent that's classic and timelessly beautiful. Carry the convenient rollerball with you throughout the day for an instant touch of glamour. Ingredients: Alcohol Denat, Parfum (Fragrance), Aqua (Water), Benzyl Alcohol, Benzyl Benzoate, Benzyl Salicylate, Cinnamyl Alcohol, Citral, Citronellol, Coumarin, Eugenol, Farnesol, Geraniol, Isoeugenol, Limonene, Linalool, Red 4 (CI 14700), Yellow 10 (CI 47005). This smells like freesia and enroll, exactly. Intoxicating. I agree it doesn't last long but it is a gorgeous true non chemical scent. I love it. I was looking for a fragrance that was light & memorable. This is it !!! I'm glad HSN offered a roller ball edition Next time I will buy the full size. Love this fragrance ! Beautiful fragrance. I receive compliments every time I wear it. 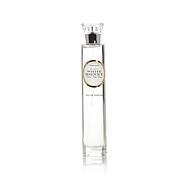 Love the combination of Gardenia,with the other notes,really beautiful.Only drawback,it doesn't stay on too long,wonder if its synthetic? Still keeping it though.